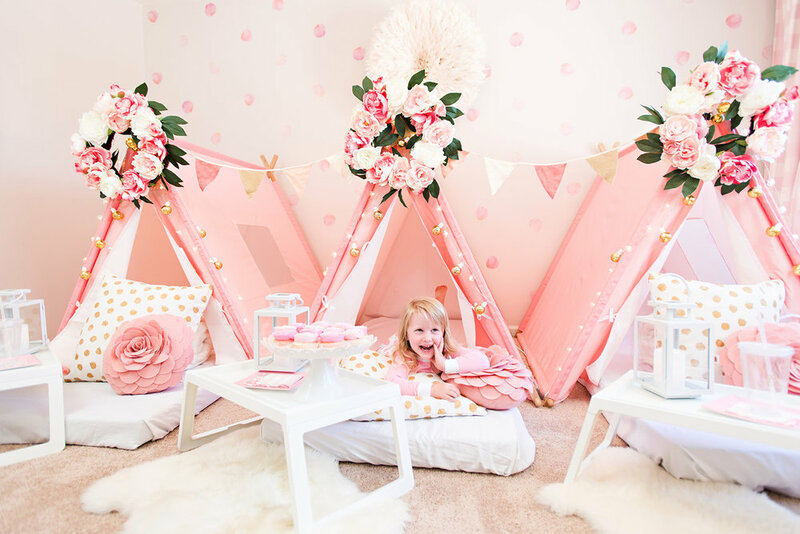 Themed tent parties styled + delivered. 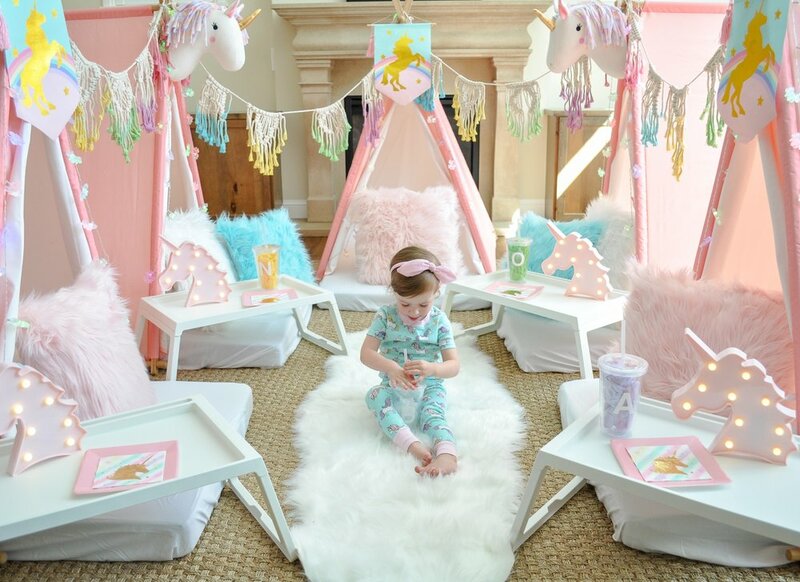 Ideal for birthday parties, sleepovers, and celebrations! Why a FOUR tent minimum? To ensure we can cover transportation costs and pay our sprinkle + dot delivery concierges, there is a $220 minimum for each booking. If you don’t need four tents, just let us know — as long as you cover the $220 minimum, we can set-up 1, 2, or 3 tents! Mermaid tails unite! 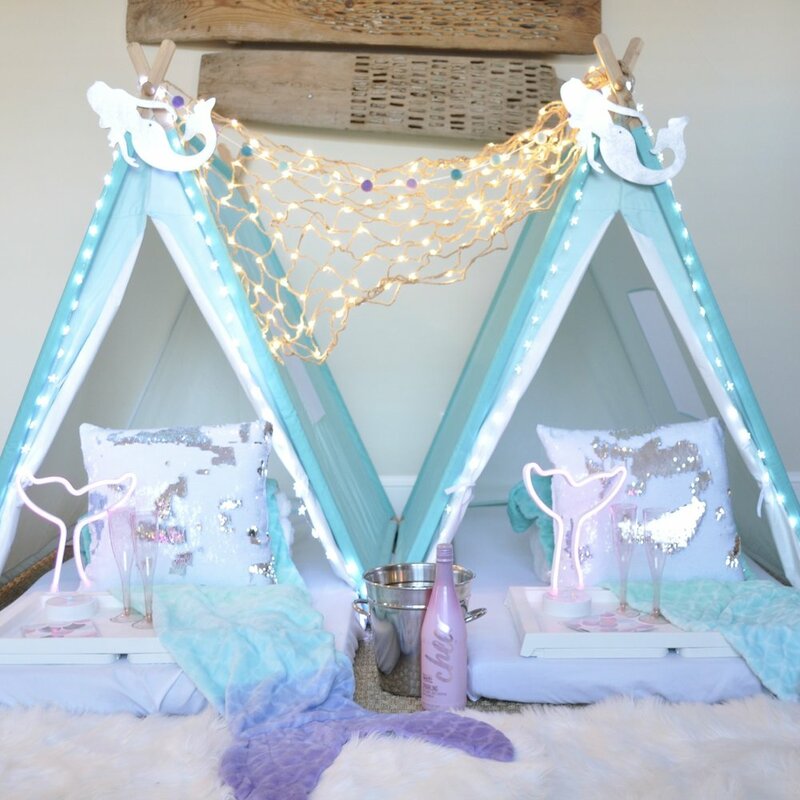 Our newest tent party set features everything that mermaid dreams are made of — and, all in ocean inspired tones. So, get ready to take a dive into this shimmering party!